From residences and commercial buildings to roadwork, gas services, water mains, and sewers. Experienced in a wide variety of excavation work. by our award winning building and design team. 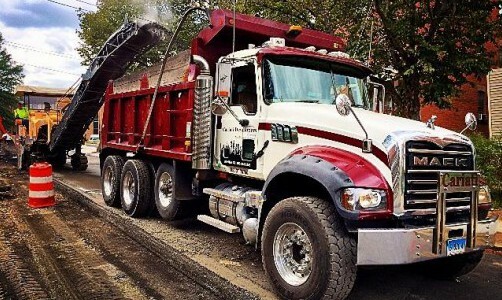 We have the experience and equipment to handle your excavation or paving project. From large commercial and industrial to smaller residential needs, we are here to help. Our fleet of trucks is available for Connecticut commercial snow removal. We can provide you with impeccable service. We also sell ice and snow treatment material in bulk. Experienced custom home builders and designers to meet your needs. Pick from our custom floor plans or design your own. High quality and the most reliable in Connecticut. We have an extensive line of modern equipment for all your snow plowing needs. We pride ourselves in providing the best snow removal services since 1993.